If you want to use LeadSimple forms but haven't built one yet, see this article on building a basic form. 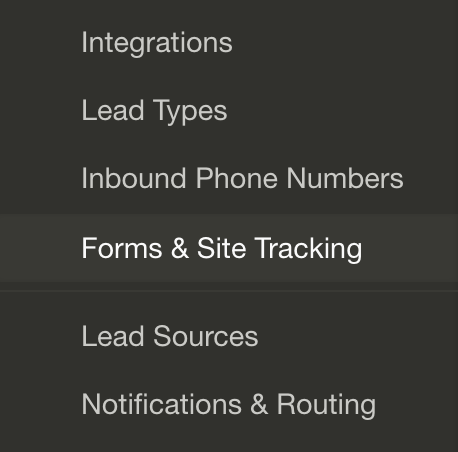 This code is located on the Forms & Site Tracking page under Settings in the sidebar. This field contains the code and instructions for your website manager. 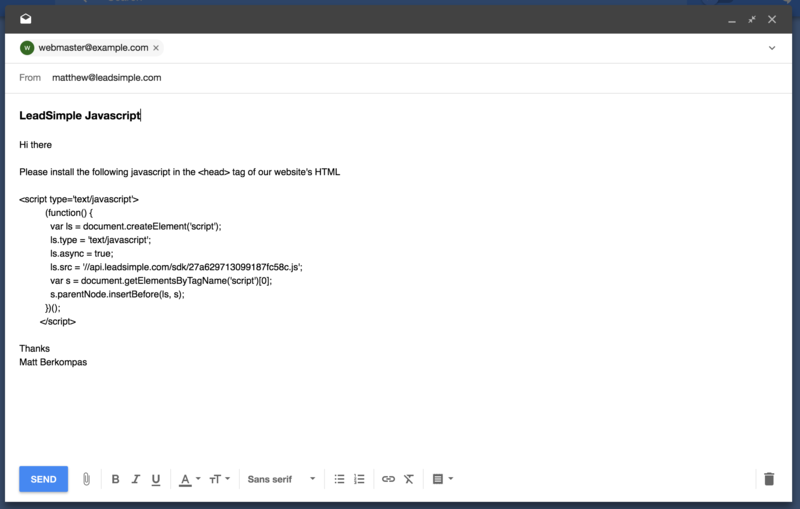 Next, open your email client (e.g. Gmail, Outlook) and compose a new email. 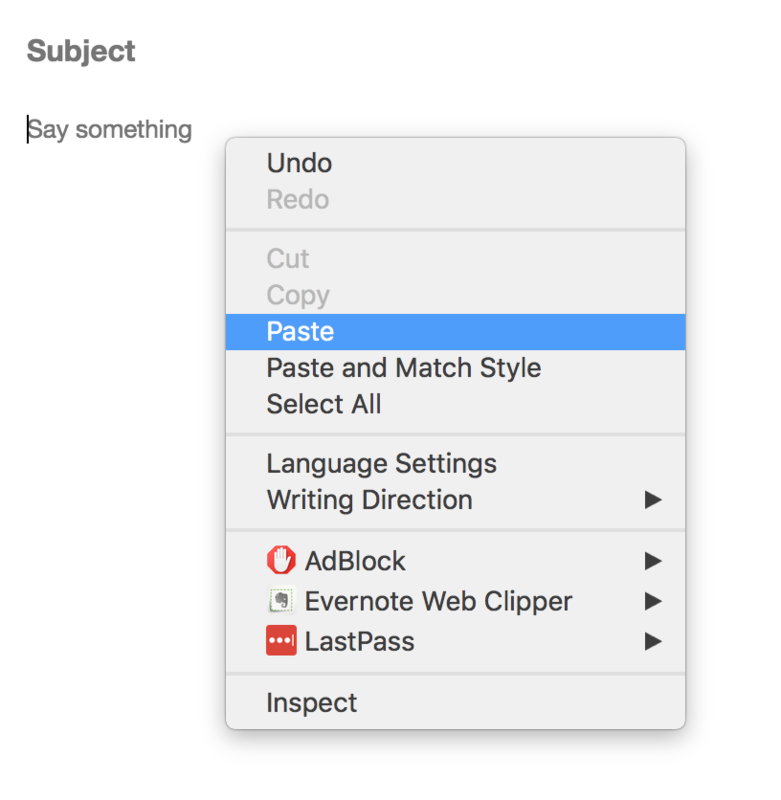 In the body section of the email, right click with your mouse and click "Paste". 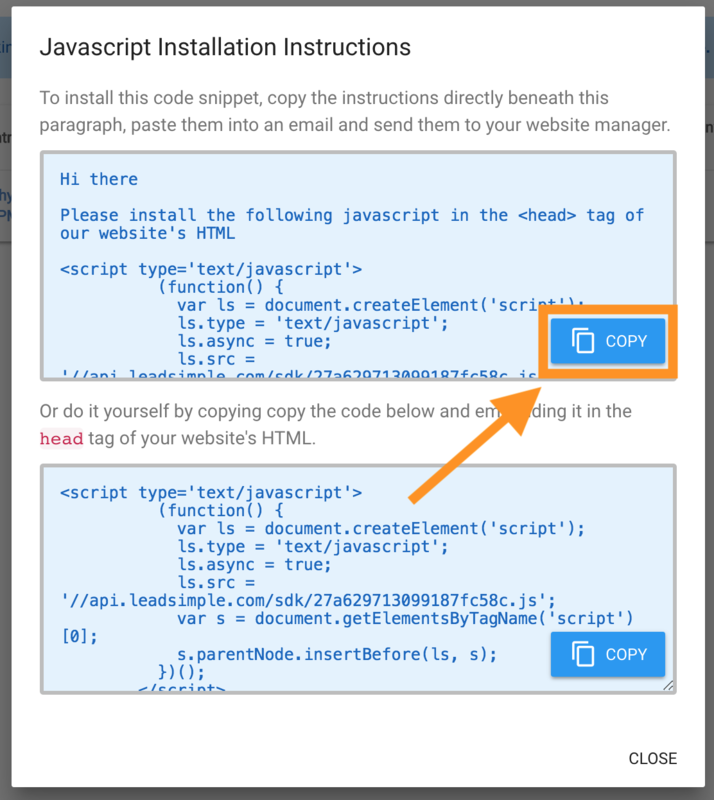 This will paste the instructions you just copied from LeadSimple into the new email. Now, add a subject line to the email and your website manager's email address as the recipient. Click "Send" and your website manager should have all the instructions he needs to install this on your site. 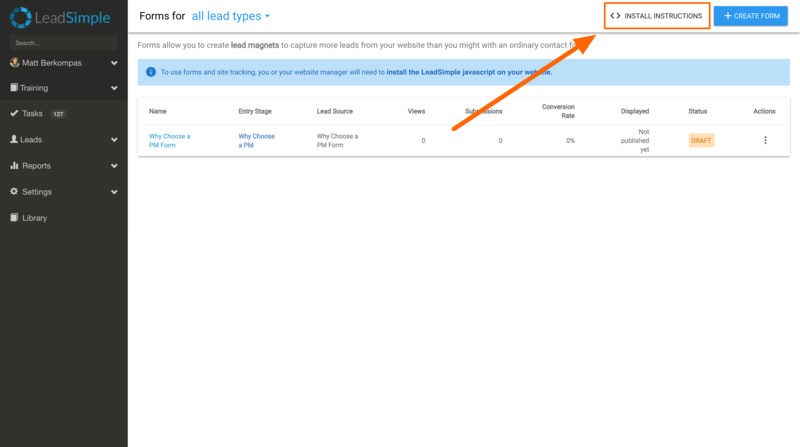 As soon as he makes these changes, any active forms will start being displayed and LeadSimple will start tracking leads as they view the pages on your website. If you manage your website yourself, simply copy the the code in the second field inside the pop-up window. Like the instructions indicate, you'll need to install this in the head tag of your website's HTML. Once you save the HTML file and make those changes live, LeadSimple forms and site tracking will be activated on your website.